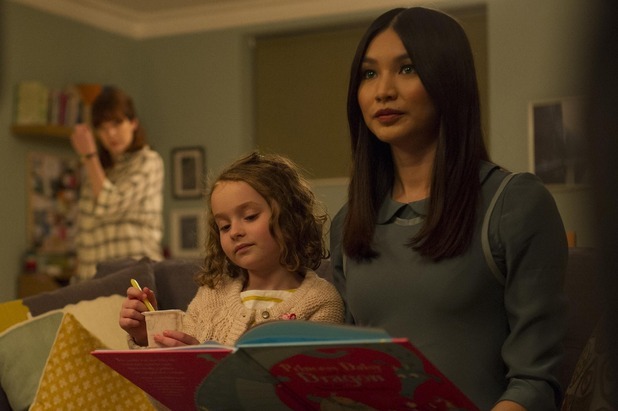 The Custard TV: Humans: A robotic drama with a ton of heart. 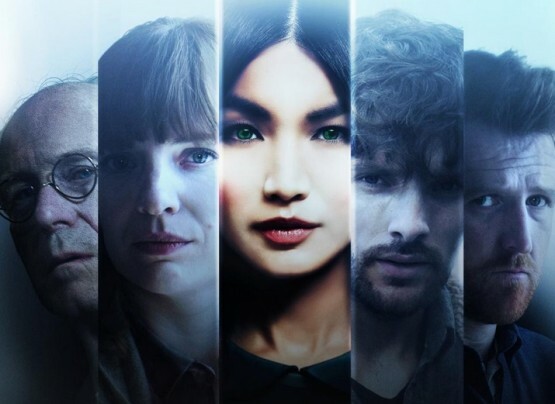 Humans: A robotic drama with a ton of heart. It's important before you read this review that you know I'm not a sci-fi, fan. I've nothing against it, I just prefer my drama to be set in a world I can relate to, where something happening on screen could happen. Saying that, wasn't channel 4's sci-fi drama Humans ruddy brilliant??! Anyone who has read a review from me of late will know I'm feeling less engaged with the drama that broadcasters have been drip-feeding us this year. My most recent piece on The Interceptor was so full of vitriol it cost me some long time twitter followers. It is with a big deep breath that I announce, I thought the opening episode of Humans was superb! When dad Joe finally purchases Synth Anita it has a knock down price. At first glance she's a normal Synth, happy to help around the house, make and serve breakfast, and make sure that her families needs are met, but it's not long before we learn Anita isn't your average synth. This is just one facet that the brilliant script chucks our way. Another element I was fascinated by was that of elderly man George who lives alone with his Synth Odi. is one of the original models. When the NHS knock on his door to upgrade to a newer model, George hides Odi away in a cupboard. He doesn't want to lose Odi who is stored with memories of George's wife who passed away during the first few years of Odi's time with the family. It's a sweet and touching element as we see George desperately trying to stop his Synth from malfunctioning in an attempt to save the memories of his wife. Another thing I admired about this opening episode was the pacing. There were three plotlines running concurrently and each were given equal time and were of equal interest. The third plot saw a group of Synths who were different to the rest. The average Synth is a carefully program machine, but this select group had the ability to feel emotions and think for themselves. As Anita settles into her role in the Hawkins house the story flashes back five days and we learn that Anita was one of a group of Synths who are on the run. Their human leader Leo believes that the way that the Synths are being treated is wrong, and he’s found three highly-intelligent Synths who have become his followers. A lot of Leo's group have been captured and like Anita they've been sold on. Leo spends the episode on a desperate hunt to find those members and bring them to safety. So that leaves the audience with question, does Anita know more and feel more than her robotic personality is letting on? Are the Hawkins children really as safe in her company as we are first led to believe? I couldn't believe how immersed in this I was. Ordinarily with drama you have a sense of the direction the story is likely to be heading but this was so original that it was impossible to second guess, meaning I could sit back and enjoy. I was intrigued by everything. I was starting to feel a little robotic myself, lacking warmth for TV drama but, judging solely by this opening episode I've been reprogrammed! I can feel affection for telly again! If you're not fan of the genre please don't let that be a deterrent, as this is just a brilliant piece of original storytelling. It has its feet grounded in reality and feels worryingly realistic. I'll certainly be keeping my eye on my breadmaker, Ipod and toaster from now on. I'll wait until I see the series ends, but if Synths were available now I'd be heading down to Curry's and trying to squeeze one into my boot. 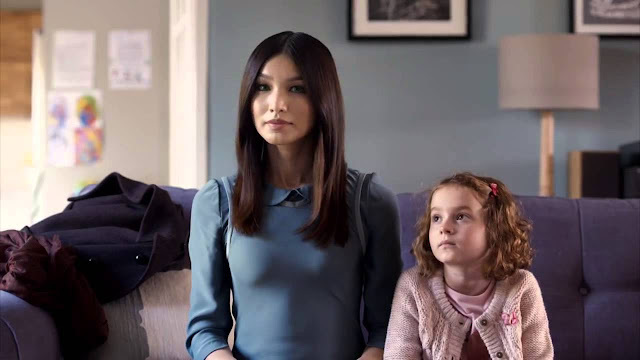 Humans Continues Sunday at 9.00pm on Channel 4.